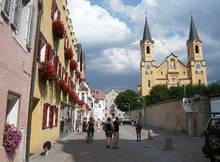 Brunico, Italy is a town in South Tyrol with a population of over 15,000 people that is producing more electricity and heat than it consumes. 840 square meters of rooftop solar thermal systems supply water heating, and a 120 km district heating network fed by a 9 MW biomass plant and a 1.5 MW biogas plant near a landfill site supplies heat for more than 2000 buildings. Electricity for about 1500 families comes from just over 3 MW of rooftop photovoltaic panels, small hydro plants totaling nearly 4.4 MW, and a 20 MW biogas plant that is fed by wood waste. The town additionally has a large 46.3 MW hydro project from its prior electricity system that is not counted toward the renewable energy total. 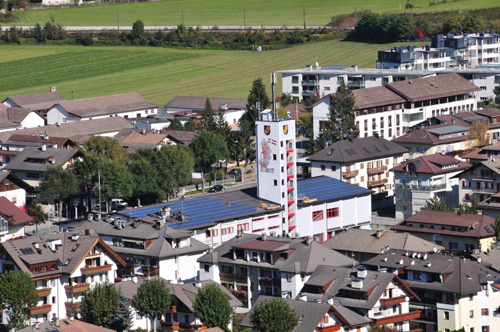 The elementary school and fire station are considered entirely energy independent with their solar PV installations of 32 kW and 64 kW respectively. Brunico’s School Centre is additionally able to meet part of its heating requirements with 750 m2 of vacuum tube collectors that heat up 3000 m3 of undeground tanks. The hot water is pumped through radiators and radiant floor heating panels. On the policy end, helping to support Brunico’s renewable energy commitment is a requirement that buildings meet up to 25% of their own energy needs with renewable sources, including 50% of their hot water demand. The town is also helped substantially by Italy's feed-in tariff law that , like the German feed-in tariff on which it's modeled, guarantees connection to the grid for renewable energy producers of all sizes and reasonably priced payment differentiated by technology for all the renewable electricity they generate. 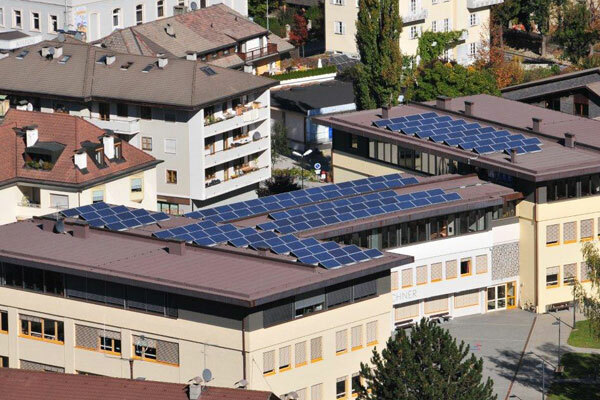 Brunico has been recognized for its achievements in creating a diverse renewable energy system and has been nominated to the Champions League RES 21, a renewable energy competition among European cities and towns.